From Portobello by Inspire, these gorgeous Sandringham mugs are wonderful for enjoying a cup of tea with friends. 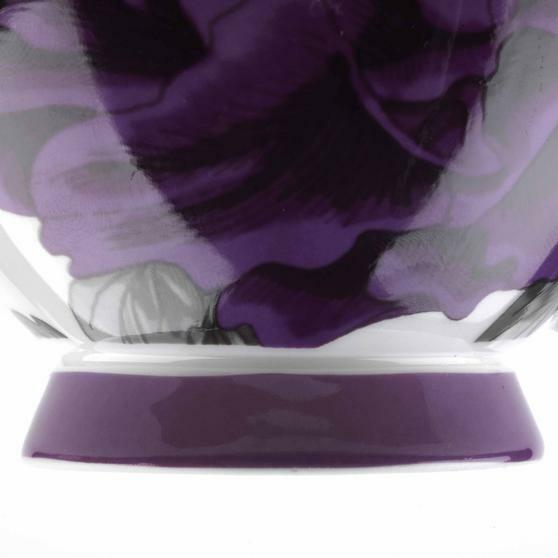 With elegant features and a stunning deep purple peony and butterfly design, this exquisite set of mugs looks charming in any setting. 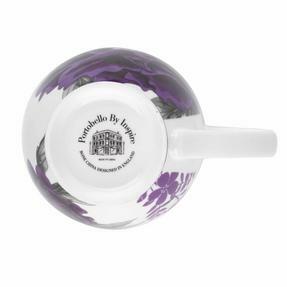 Crafted from fine bone china with a gloss finish, they are microwave and dishwasher safe, making them practical and convenient to clean. 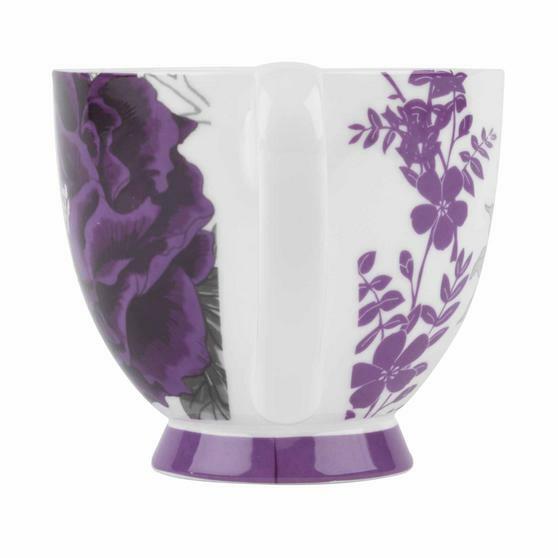 Ideal as a gift or simply to treat yourself, this beautiful set is the perfect addition to any home. 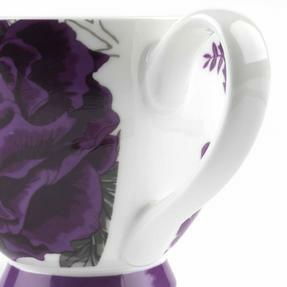 Made from bone china, this set of high quality Portobello mugs are a perfect blend of practicality and beauty. The mugs are dishwasher safe, so enjoy your cup of tea then put them straight into the dishwasher for effortless cleaning. 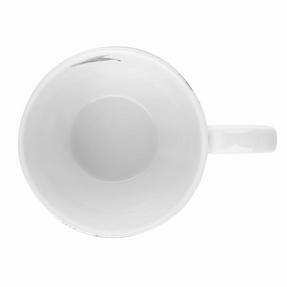 A set of 4, you can enjoy them with family and friends, the mugs are also safe for use in the microwave so you can heat drinks or soup. A generously sized 9.8h x 11w cm, the mugs comfortably hold 350ml, perfect for when you need a large tea or coffee. 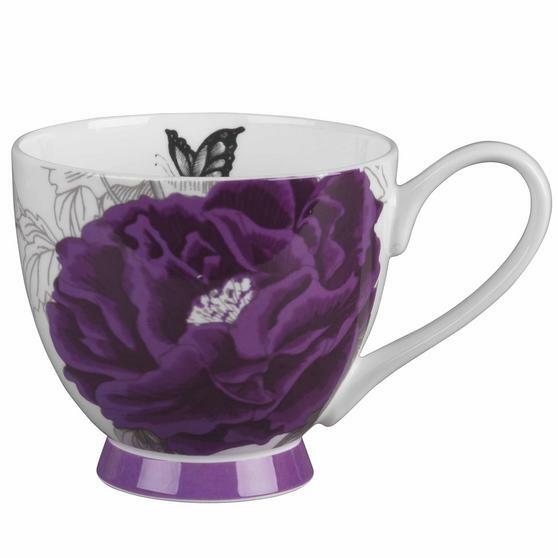 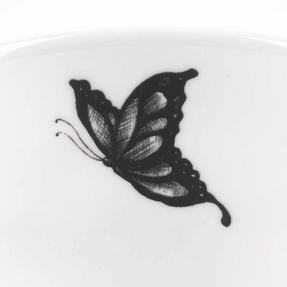 The stunning floral butterfly mug set is guaranteed to impress, allowing you to use pretty matching mugs when you have guests.